This collection of essays by scholars from five nations - the United States, Great Britain, Australia, France, and Russia - makes several major contributions to the understanding of Stalinist terror in the 1930s. The essays explore in greater depth than before the background of the terror and patterns of persecution, while providing more empirically founded and substantiated estimates of the numbers of Stalin's victims. Some contributors tap unexplored or underutilized source materials while others have taken advantage of glasnost and the opening of Soviet archives and libraries for the years of the terror to draw on freshly available archival and secondary materials. Many of the essays are informed by distinct trends in social and political history, and they approach Stalinist terror with fresh methods and perspectives. The volume supplements works that have focused exclusively on Stalin's personality by concentrating instead on preconditions, mentalities, economics, and specific groups. 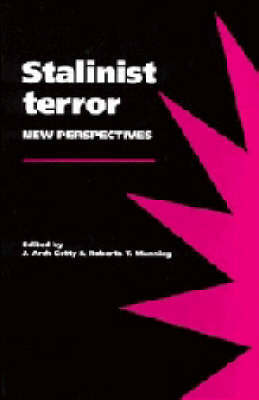 Although Stalin remains the central personality in the terror, other leaders, institutions, and social groups played important roles, and by analyzing them the essays in the volume help to provide a more complete and balanced view of the phenomenon of the terror as a whole.